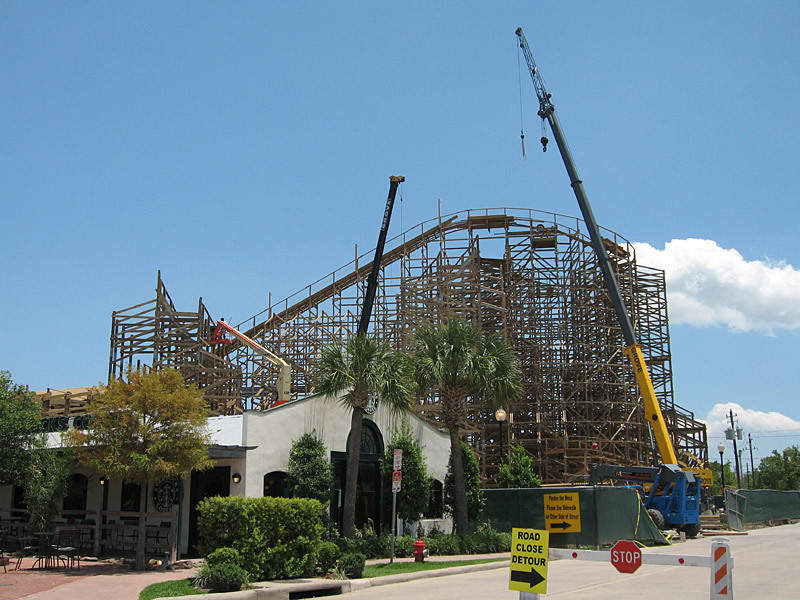 When they first started building the new Kemah rollercoaster, I didn't expect it would be much - maybe just another kiddie coaster. But wow, has that changed. 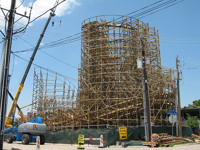 It now dominates the Kemah boardwalk, and looks to be several stories tall. 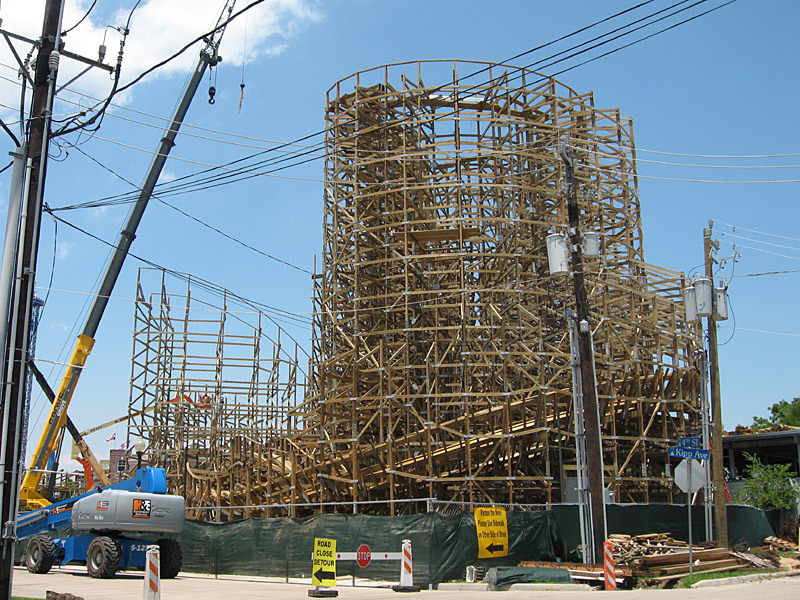 According to Thrill network the new coaster is a "mere" 96 feet tall (seems plenty tall to me! ), and will have over 3200 feet of track.